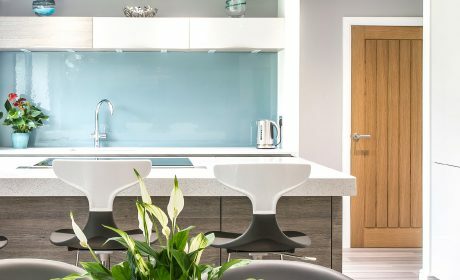 Why were you looking for a new kitchen? 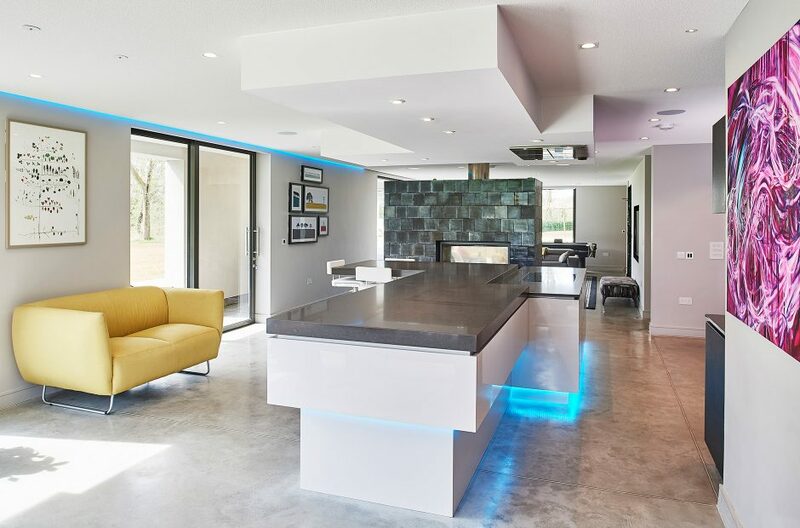 We had been planning our new build contemporary house for five years. Finally everything was in place to start the build. 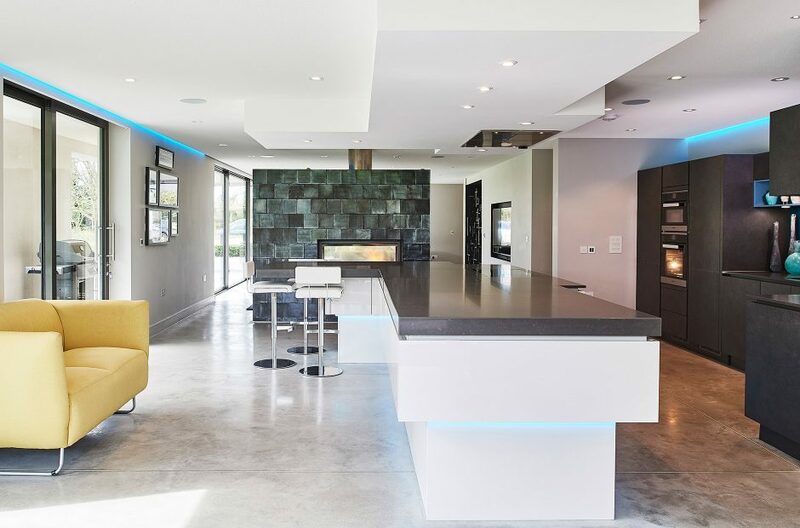 The open plan design meant that the kitchen would be a key feature of the ground floor and needed to work for the family but to really make a statement. I wanted something really design led. 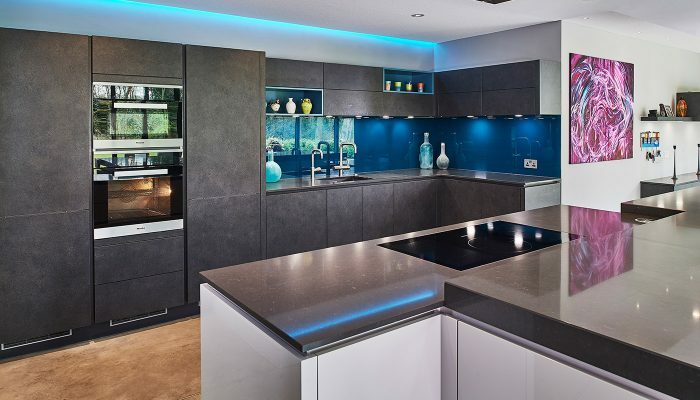 I had visited several kitchen companies and had some designs done but they just didn’t have the look that I wanted. The builder suggested the German Alno brand. 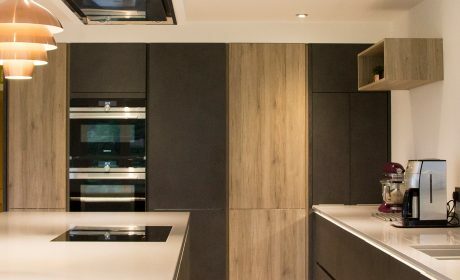 I visited Kitchenology’s showroom with my architect and was impressed with the showroom displays which included the sort of up to date kit I wanted. What made Kitchenology stand out? Jen was the only designer who took the time to visit our building site despite the fact that the build was only at breeze block stage. 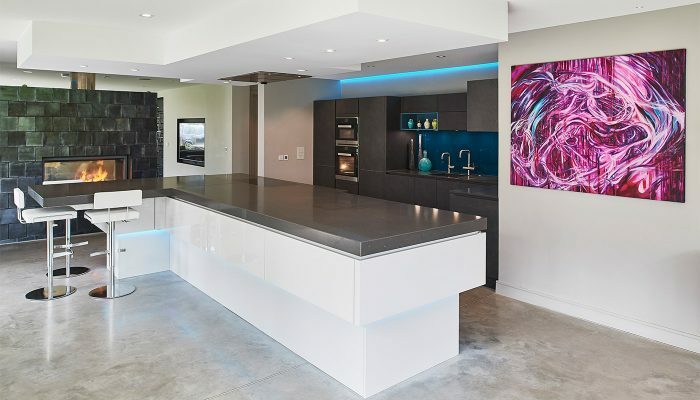 I had a particular shape of island that I wanted, not straightforward and made more difficult because I wanted it to ‘float’ above the polished concrete floor. This is the island that was finally installed despite the design and construction complexities. 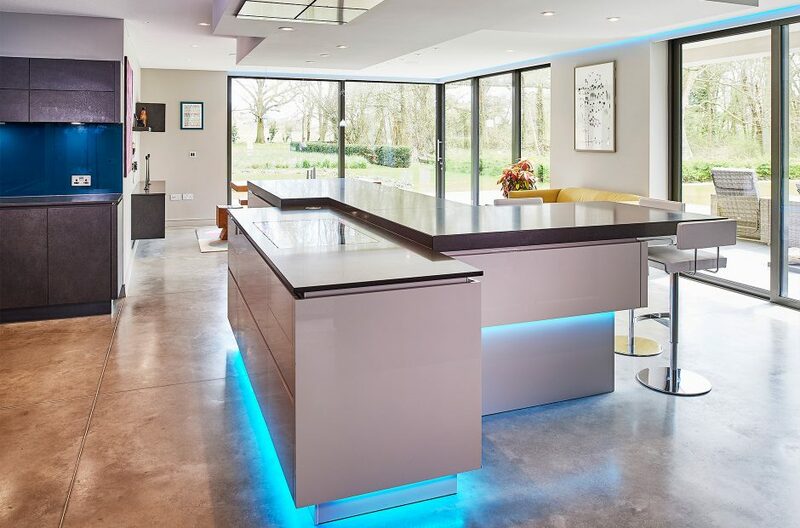 And she designed the feature housing the extractor above which follows the shape of the island. 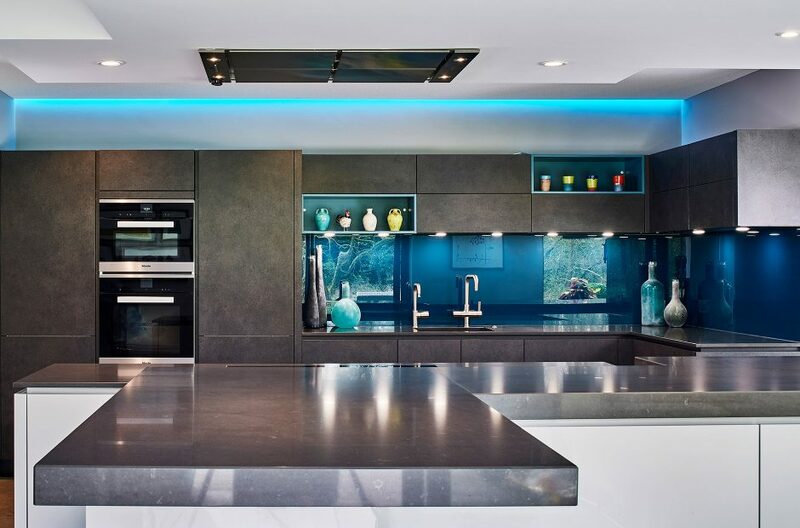 What was your biggest fear before ordering your kitchen? Detail is very important to me and I took a lot of time to check every aspect. I did get nervous that the kitchen wouldn’t be right before it was installed and phoned Jen to ask her opinion. She reassured me that all would be well and yes, she was right, it looked exactly as the CAD images and fitted perfectly. What did you like about their service? 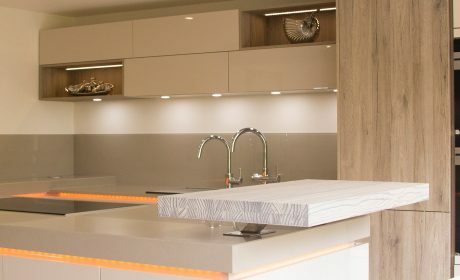 Because the whole build was being managed by our building company, there was a requirement for Kitchenology to liaise with our architect, builder and their trades. Many plans were passed between us and installation information was vital. 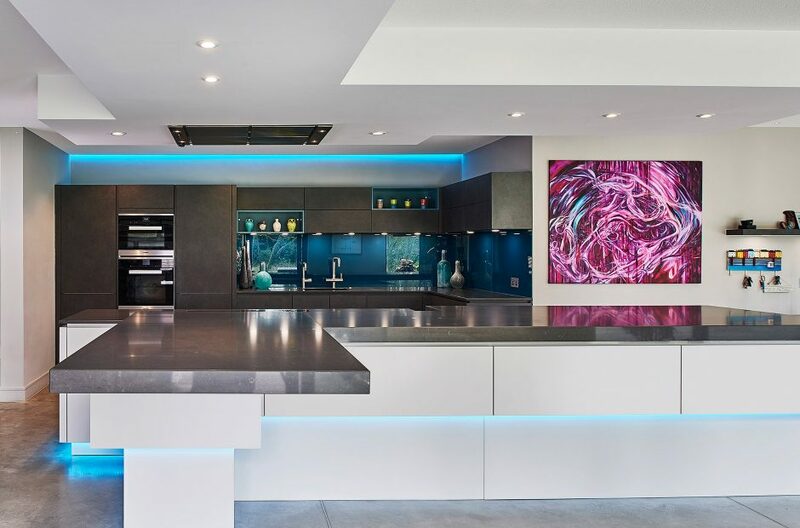 Kitchenology were really helpful during this stage and the fact that Tim, their Project Manager, is qualified in electrics, plumbing and gas installations meant that we obtained informed information from him that could be relied on by our building company. What did you like about their installation? Incredible attention to detail and great workmanship. 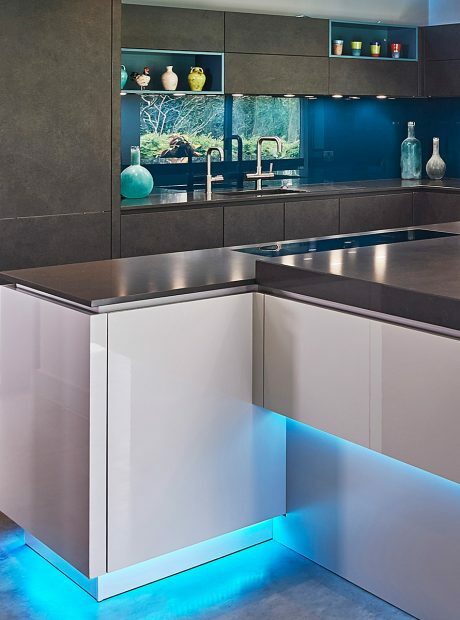 What specific feature did you most like about your kitchen? We love all of it, it works so well as a family room and not just a kitchen to cook in. But the island has to be my favourite feature. Absolutely – professional, talented and helpful.